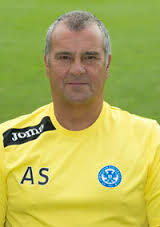 I'd like to take this opportunity to welcome everyone to the 2014/2015 football season at the St Johnstone Football Club Youth Academy. This year we will have 6 teams within our structure, ranging from U11 to U16/17 level. We all look forward to the season ahead. Training sessions will be as per last season: Tues, Wed and Fri - normal times apply unless stated otherwise. Arrangements for the Edinburgh boys training sessions are being finalised. Our U11s and U12s will play their matches on Saturdays, whilst our U13s, U14s, U15s and U16/17s will play their matches on Sundays. Our Physio will be available for Tuesday night clinics from 5.30pm-7.30pm. Sport Science will be introduced on a weekly basis over the next few weeks. As you can see the new Youth Academy website is now up and running. This will be frequently updated and I would encourage you to use this to look out for information. For example, we are introducing various fundraising and sponsorship initiatives and details can be found on this site. We are currently in the midst of planning our very first trip to the T3 sports complex in Tenerife with our U14 and U15 teams. This opportunity offers the boys 5 days full time experience in a top training centre used by some of the best football teams and other athletes from across Europe. There will be disruption to the training sessions around the time of The Ryder Cup. We are in the process of organising alternative arrangements for training sessions. This information will be displayed on the website. Plans are progressing well for the proposed new 3G training pitch and we hope that this will be complete late October. The surface will be of the very highest standard meeting FIFA 2 star certification and will be a great facility for all at St Johnstone Football Club to enjoy. We have already enjoyed a successful start to the season with lots of good performances and in particular the U17 team winning The Foyle Cup in Ireland.